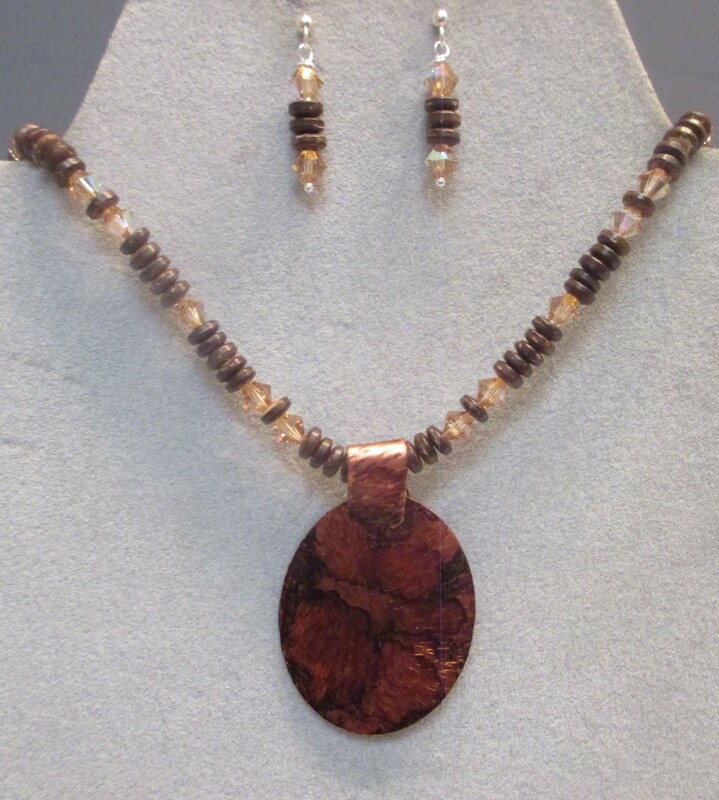 This necklace has a hammered pendant of Copper that has a variety of rust and brown . The colors were created using alcohol inks and then sealed with several coats of clear acrylic spray to preserve the colors. The pendant is about 2" x 2 1/2" . It has a handmade bail in the same colors. The pretty beaded necklace has coconut shell beads with topaz colored Swarovski beads as accent. It has a sterling silver ring clasp. Matching beaded earrings are include. They are about 1" long.